Below is information about some of the biggest problems with regard to quality in digital scrapbooking elements and papers. Although the instructions on how to fix them are written for PhotoShop CS users, they should translate nicely to PhotoShop Elements (except where noted). If you can add instructions for other programs I would greatly appreciate it! If you have any questions, please let me know! There are QC actions available on many sites, but since the Design Challenge submissions are pretty small scale, I would suggest that you take the time to physically look at each element to do your quality check. After looking at 20 or so individual items and having to fix each item yourself, you will learn not to make the same mistakes again (which will make you a better designer)! Some of these quality issues are really easy to fix and some are not...as with most things, it is easier to prevent quality issues than it is to fix them. Learn what to look for and keep these quality issues in mind as you purchase CU items and/or create items. Please pardon the length of these posts as I am trying to be a specific as possible, including screen shots when appropriate. Removing unnecessary pixels or blank space from around elements is really easy and can save memory on your computer (even transparent pixels use up memory). This element has too much blank space around it. 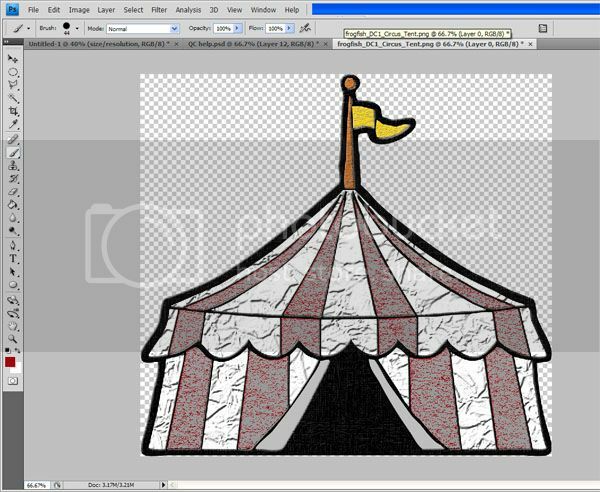 To trim the blank pixels from around the shape, access the IMAGE menu in the top menu bar and select TRIM. 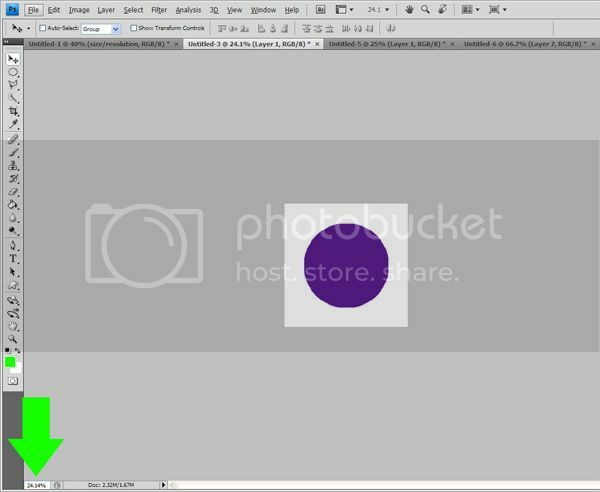 A popup box will appear; make sure you select TRANSPARENT PIXELS and TOP, BOTTOM, LEFT, and RIGHT before clicking OK.
You can see in the following image that the unnecessary blank space has been removed. Easy, right? Papers should be saved as 12"x12" files at 300dpi. Elements should be saved at an appropriate size (for what they are) at 300dpi. 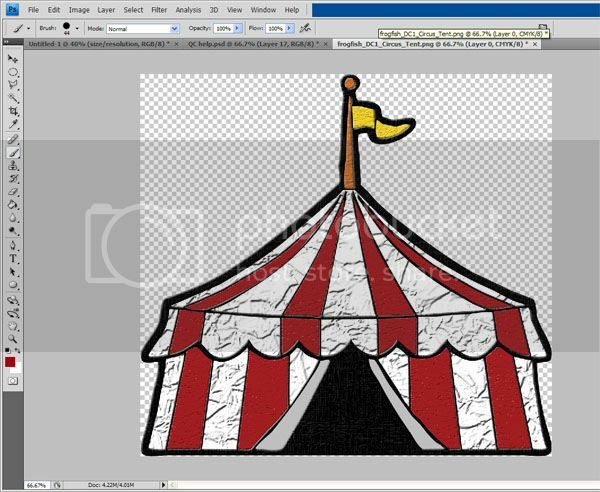 Previews should be saved as 600x600 pixel files at 72dpi. 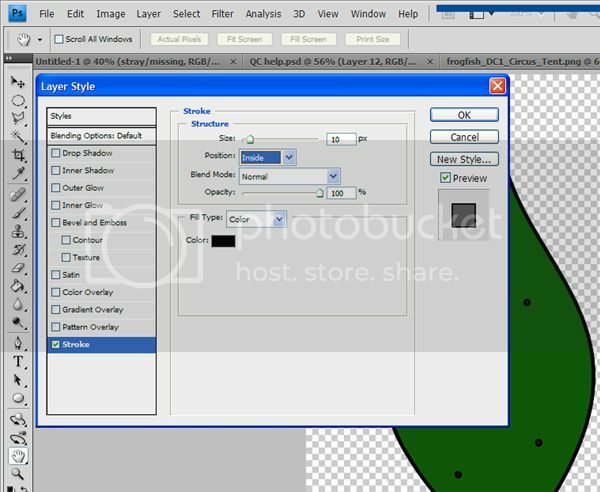 To check the resolution of your items, access the IMAGE menu in the top menu bar and select IMAGE SIZE. A popup box will appear. 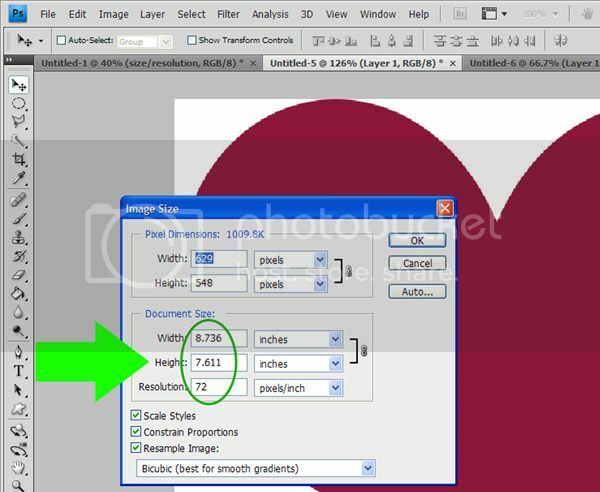 Although you may use this popup box to REDUCE the size of your image, using it to increase the size (inches) or resolution (dpi) can cause the image to get blurry or have jagged edges. This example is a heart element. You can see that it is currently 8.736 inches wide by 7.611 inches tall. That is way too big for a heart element...you wouldn't use it at that size on a layout. For this element, I would probably change it to about a 3"x3" size. Note: don't get carried away and make your elements too small; you don't want people using your items to have to make them bigger as that can cause the quality to deteriorate. The resolution is set at 72 which is wrong; it should be 300 dpi. Be very careful playing with this number too...increasing resolution can cause a host of quality issues if you aren't careful. At the top of the popup, you can see the dimensions of the element in pixels. As you change things on this screen, watch those numbers. They should never go up. If I change the resolution to 300, the pixel dimensions will go up which is bad. By decreasing the size in inches though, I can get the pixel dimensions back down. Since this particular element needed it's size in inches to go down anyway I can fix both problems at once. Some elements aren't as easy to fix. If you purchase a CU element that is already small (inches) and is saved at a low dpi, there really isn't an easy way to fix it and you may be better off choosing a different element altogether. Stray pixels are pixels that are not part of your element but appear in the blank space surrounding it. Stray pixels can cause a lot of nasty effects when shadows, etc. are added to the element. There are many reasons they can appear but they are fairly easy to get rid of. Depending on the size/color of the stray, they can be very difficult to see. To make them more visible, add a fairly thick OUTER stroke (of a contrasting color) to the element. Note: make sure you are doing this in a nondestructive manner. 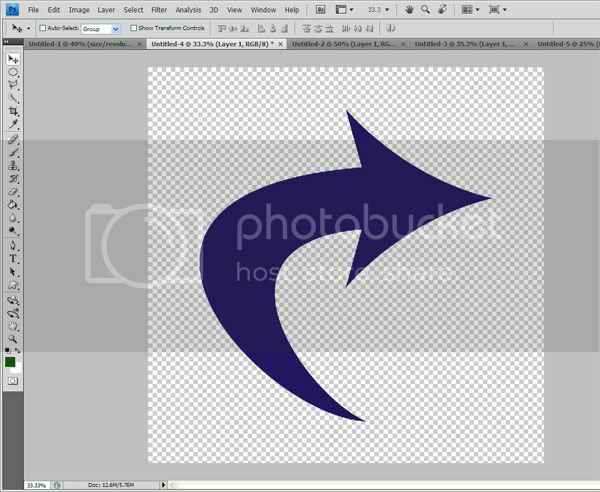 In PhotoShop Elements you may need to duplicate the layer first. Notice that the stray pixels are now outlined by the stroke making it very easy to see them. To get rid of them, simply erase them on the original image (you can do that with the eraser tool). Missing pixels occur inside your element. They are parts of the element that do not have color, possibly because you missed them when coloring/shading with the pen tool. Again, they can occur many different ways and depending on the complexity of the element can be easy to fix. Missing pixels are also difficult to see. To make them more visible, add a fairly thick INNER stroke (of a contrasting color) to the element. Note: make sure you are doing this in a nondestructive manner. 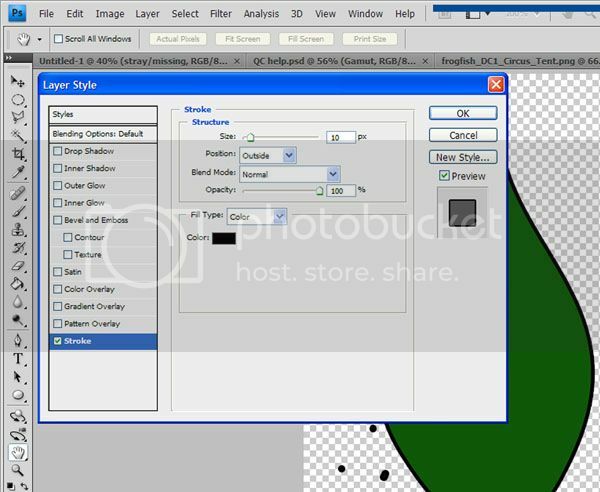 In PhotoShop Elements you may need to duplicate the layer first. Notice that the stray pixels are now outlined by the stroke making it very easy to see them. To get rid of them, simply fill them in with the appropriate color (you can do that with the pen tool). The edges of elements should be smooth, but there are a lot of things that make them jagged. 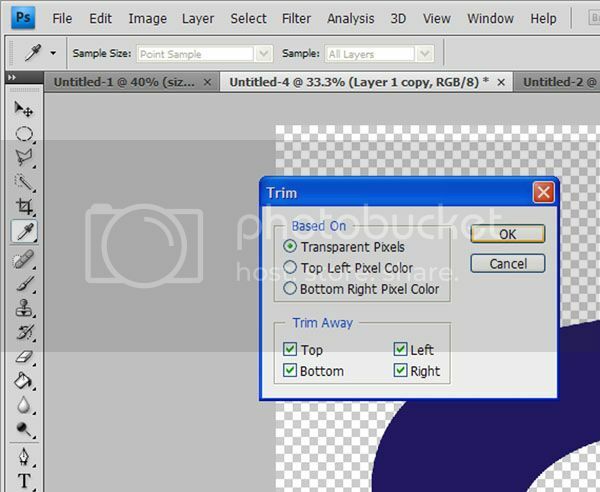 Enlarging an element too much, increasing the resolution of a low res element, or improperly recoloring an element are just a few things that will cause jagged edges. Note: recoloring an element with the paint bucket tool will cause jagged edges every time! When viewing an element full screen, you may not notice jagged edges. Be sure to check your elements at 100%. 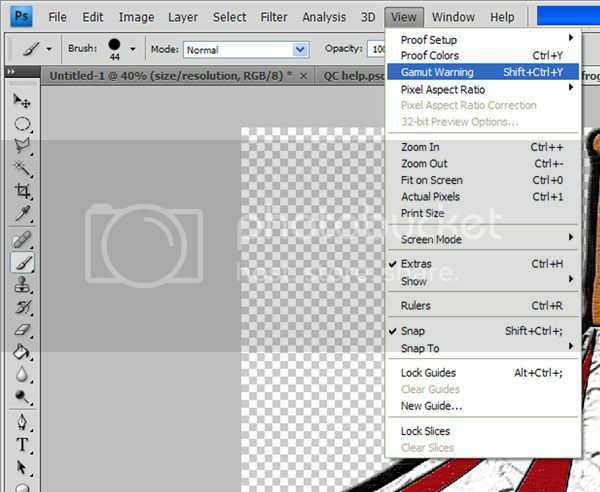 You can change the zoom in the lower left corner of your PhotoShop CS screen. This element is very jagged at 100%. There are some actions that claim to remove "jaggies" from your elements, but I have honestly never used them. Use caution when using the BLUR tool to fix jagged edges because you may end up with a blurry element. Many times finding a different element that isn't jagged at 100% is easier than fixing a jagged one (depending on how bad it is). Our computer screens support so many more colors than printers (even professional ones) do. That means that some of the colors we see on the screen can't be produced by even the best printing methods. Those colors are said to be out-of-gamut. 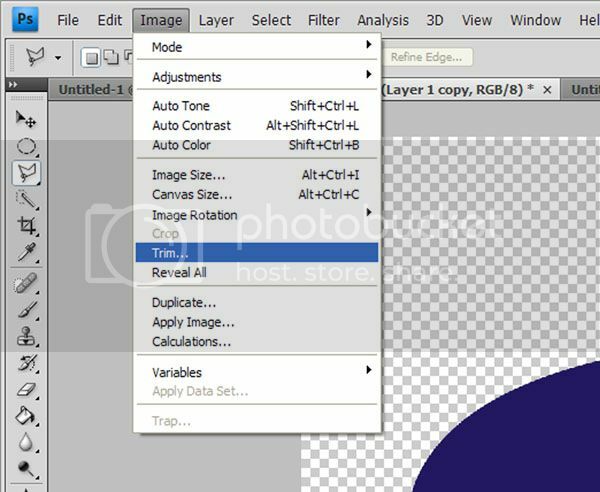 If you try to print a layout with out-of-gamut colors, you could be in for a big surprise as sometimes out-of-gamut colors print as a TOTALLY different color (for example, an out-of-gamut red may print as grey, brown, or even blue!). Making sure your items are in gamut will save the people using them from that headache. 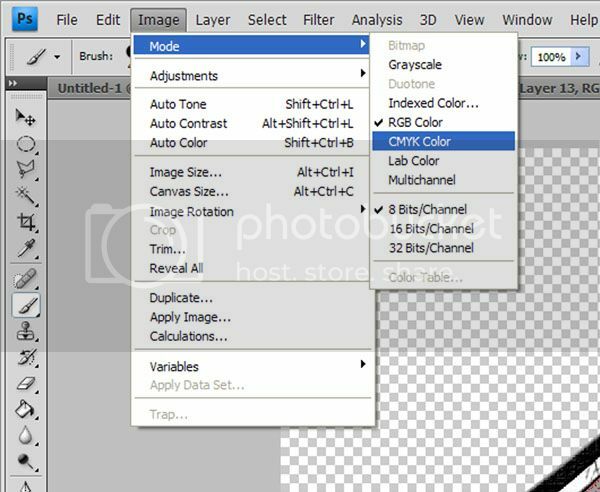 PhotoShop Elements does NOT have a utility for checking or fixing gamut so these instructions will only work if you have PhotoShop CS. Refer to this post for more info on fixing gamut using a free online utility. To check the colors to see if they are in gamut, access the VIEW menu in the top menu bar and select GAMUT WARNING. Colors that are out-of-gamut will appear gray. You can either attempt to fix the colors manually or allow PhotoShop to map them to the closest in-gamut color. 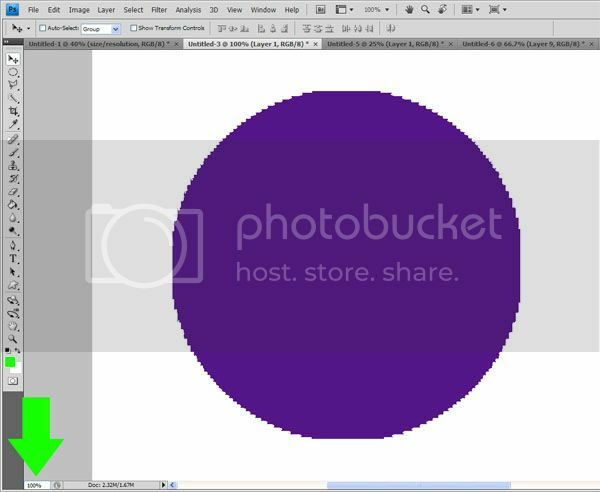 To let PhotoShop do the work for you, access the IMAGE menu in the top menu bar and select MODE and then CMYK COLOR. 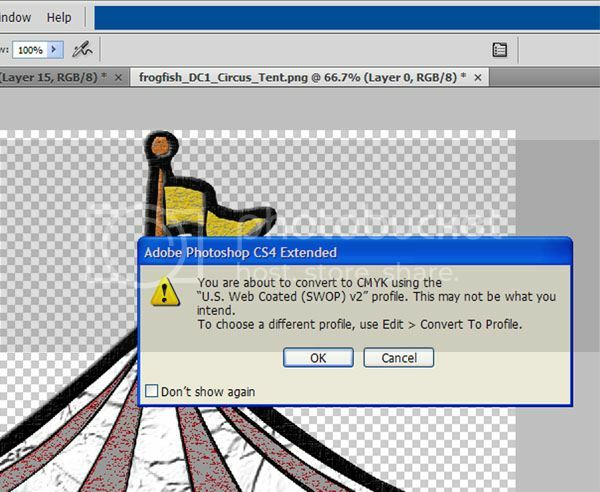 A warning box will appear informing you that your image is about to change; to proceed, click OK.
Be sure to change the image mode back to RGB color before doing anything else. 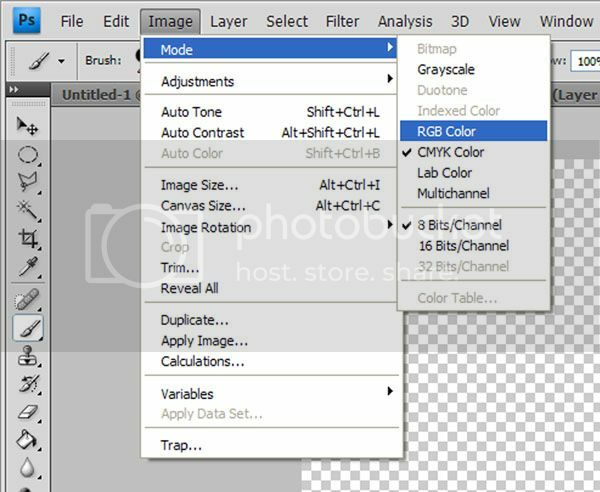 To do that, access the IMAGE menu in the top menu bar and select MODE and then RGB COLOR. Allowing PhotoShop to map the out-of-gamut colors to the closest match worked well for this image, but that is not always the case. Compare the original to the new image to decide if you like the way PhotoShop handled it. The original image is on the left, the new one is on the right. Blurry elements and papers are like blurry photographs; no one wants them. You should examine your elements (paying special attention to the edges) and papers (paying special attention to the textures) at 100%. There are several ways to sharpen a blurry element, but especially with blurriness, it is easier to prevent it than fix it. Depending on how bad it is, finding an element/texture that isn't blurry at 100% is easier than fixing a blurry one.